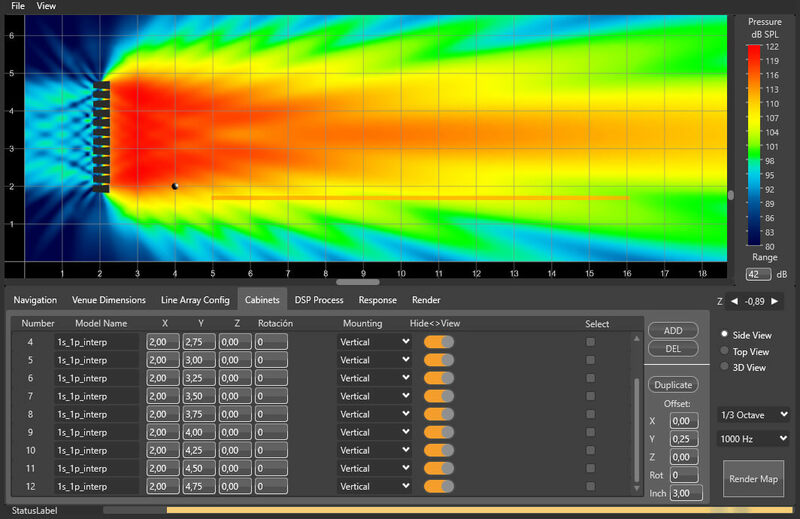 R&D Lynx Pro Audio’s department is working on Rainbow 3D, a new acoustic simulation software in a 3D and dynamic environment. With a sophisticated design, Rainbow 3D stands out for its speed, being able to do a simulation in a few seconds. It has algorithms for beam steering and optimizing the listening area. Rainbow 3D has been programmed from scratch by the engineers of Lynx Pro Audio, using new programming procedures that achieve an effective simulation with a really low calculation time. 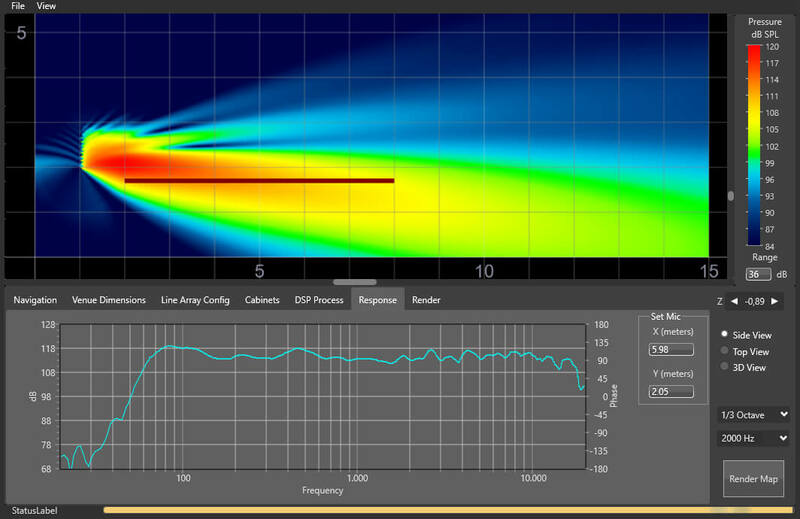 For example: calculating 40 sound sources lasts less than 1 second. The program can simulate all Lynx Pro Audio’s acoustic enclosures located in a 3D space, including the classic side and top views. It can also define multiple listening zones and include an unlimited number of sound sources. 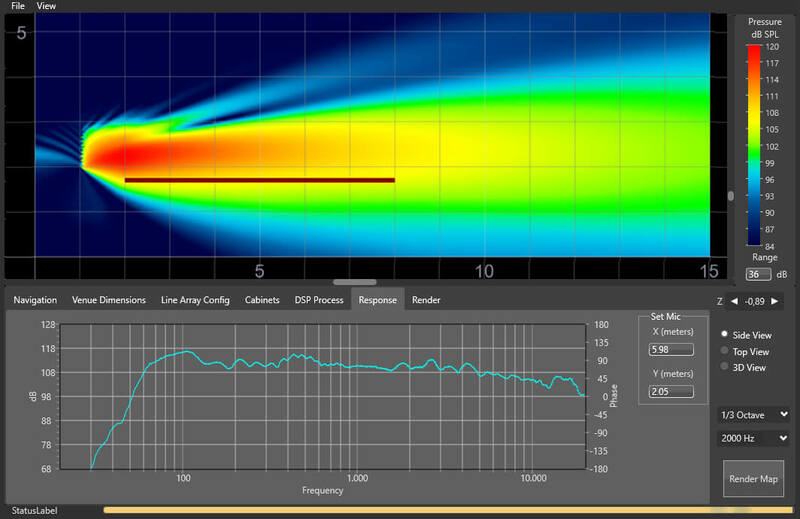 Allows the acoustic simulation for all audio systems: subwoofers, arrays, columns and individual boxes. 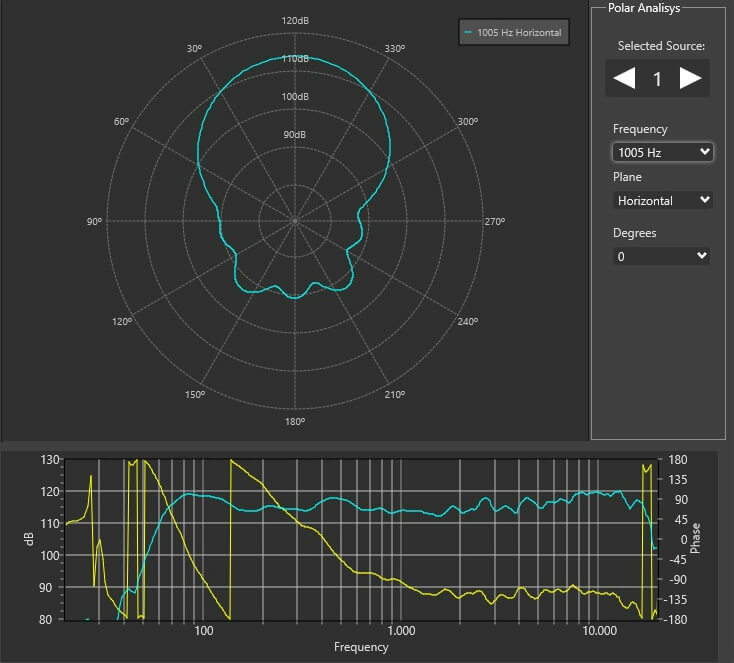 Optimization algorithms are used in the listening area to cover the sound pressure and the frequency response. This task is carried out in a matter of seconds thanks to the processing of FIR filters. In addition, the export of FIR coefficients can be performed with the optimization for later loading in the DSP, via Ethernet or a USB device. In the near future, you can communicate directly with the OCS (Online Control System) of Lynx Pro Audio. Rainbow 3D has the chance of adding DSP processes in the simulation and uses algorithms to control the directivity (beam steering) in columns, without the need to tilt them physically, being able to divide the column into several beams that point to different zones. Likewise, the R&D department is developing multiple measurement and analysis tools of the calculated data. For example, the sound pressure curves (SPL) in the listening areas and the capture of virtual measurements that show the frequency response in the points of location indicated and added. Rainbow 3D presents some preliminary features: the ability to import CAD files, as well as the use of Google Maps. By adding the coordinates of the event, you can see the Google Maps image (with or without relief) and superimpose the result of the acoustic simulation to predict the sound pressure in the whole room. Being a technology developed by our own engineers, we can adapt to the needs of our clients, make improvements when necessary and develop new tools. Rainbow 3D is a project that is constantly growing and that raises us endless possibilities. Algorithms for beam steering in columns without the need to tilt them physically. Several beams can be directed to different zones.